I liked working with Jeff. I would absolutely call Jeff. Their name represents the kind of work that they do. They are personable, responsive, and, in particular, they do what they say they are going to do, promptly. They are extraordinarily creative and willing to listen to the customer. For example, they put something up in my yard and I knew right away it wouldn't work so they took it down and redid the whole scheme so I could have something like that but in a different place where it did work. They did it right on the spot without charging extra. They are very creative. Their out-of-the-box thinking and their total dedication to the green footprint. 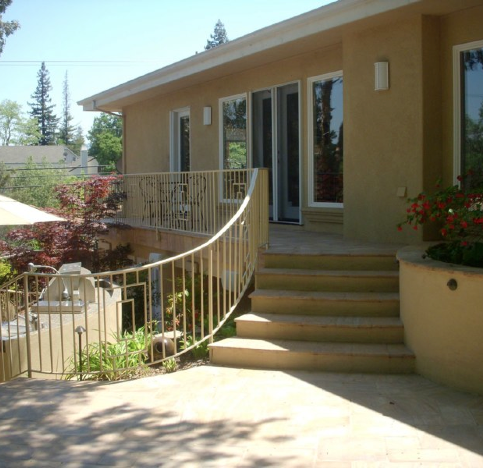 They really understand what it takes to convert your yard into something that is drought-proof but looks good and attractive to the eye. I can't tell you how many people have stopped and commented on my yard, total strangers. It feels like the right thing to do, that other people comment and want to do it too. 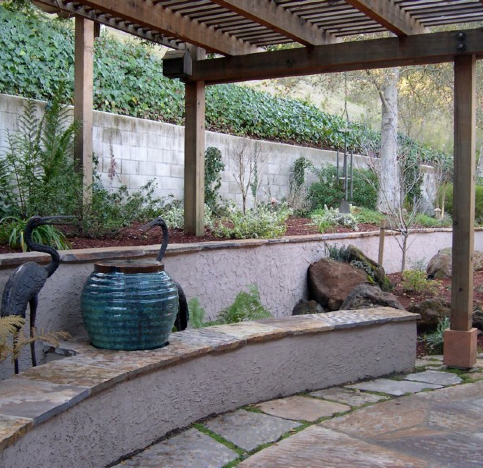 Jeff Sheehan is owner of Confidence Landscaping, Inc.
Confidence Landscaping, Inc. is a full-service design/build landscaping firm that serves residential clients in Santa Clara and San Mateo Counties. 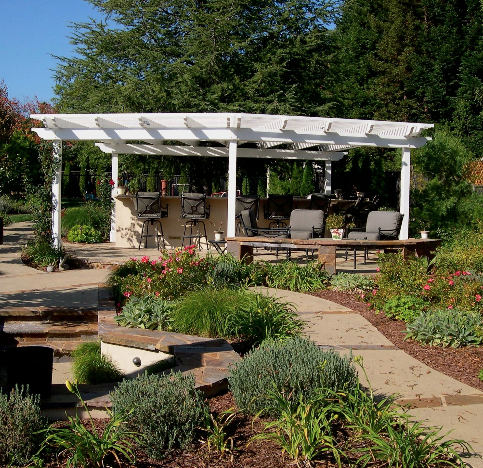 The company offers comprehensive project management by maintaining a staff of landscape architects and designers, certified irrigation designers, and certified landscape installation and maintenance technicians. It uses powerful CAD software and hand drawings to create landscape designs that combine clients’ visions with their properties’ natural attributes. Established in 1980, the company employs more than 25 professional staff members and has a fleet of service vehicles that are outfitted with state-of-the-art landscaping equipment. Owner Jeff Sheehan says his company’s primary goal is to provide its clients with the finest materials and installations that exceed industry standards. 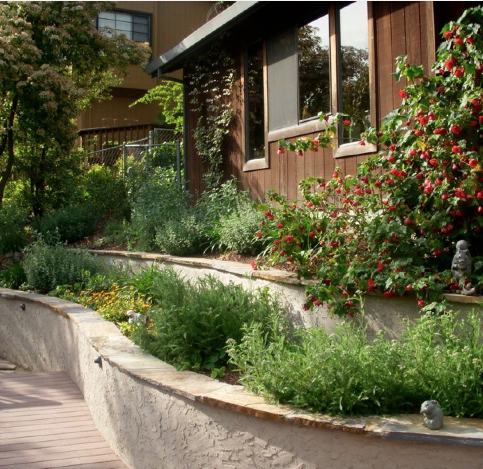 Confidence Landscaping is also known for advocating water conservation and creating sustainable gardens—the California Landscape Contractors Association has honored the company with its Xeriscape award (for water conservation) on 23 occasions and the Sustainable Landscape Special award twice. “Those awards are evidence of our commitment to our clients,” says Mr. Sheehan. DIAMOND CERTIFIED RESEARCHED CAPABILITIES ON Confidence Landscaping, Inc.
Company Name: Confidence Landscaping, Inc.
DIAMOND CERTIFIED RESEARCHED ARTICLES ON Confidence Landscaping, Inc.
Confidence Landscaping recently completed this backyard landscape project. Confidence Landscaping’s staff members attend regular industry training seminars and classes so they can stay updated on industry technological advancements. “We’re on the cutting edge in terms of equipment, materials and environmentally-friendly horticultural practices,” says Mr. Sheehan. 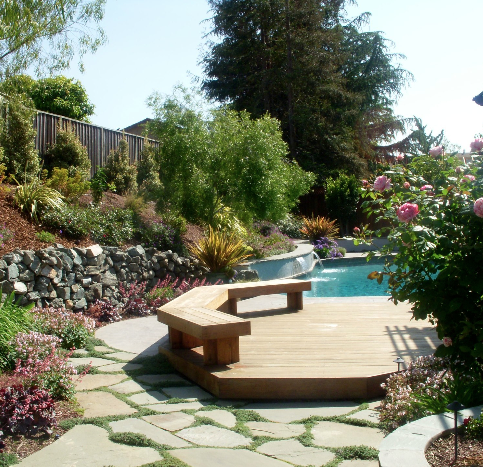 Once the company finishes a project, it provides two months of free maintenance services that include fertilization, pruning, trimming and fine gardening. After the two months are up, it either turns control over to the homeowner or provides ongoing maintenance services for a practical monthly fee. 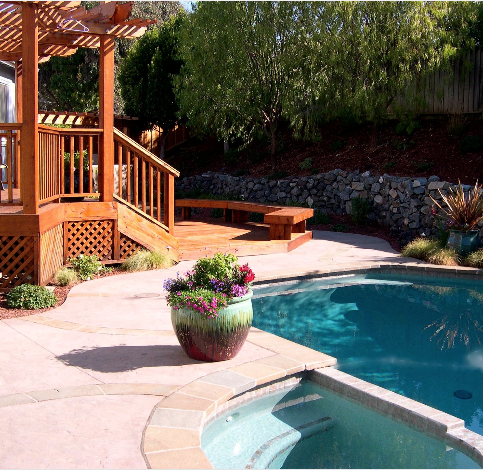 Each of Confidence Landscaping’s projects receives the focused services of a project manager to ensure everything is working to their satisfaction. Depending on the size of the project, a foreman is also on the jobsite every day to supervise the crew. Mr. Sheehan says this detailed approach to project management sets the company apart in the minds of its clients. “We don’t walk away from our customers; we want to engage them for the long-term.” With this in mind, the project manager will call the customer every few months during the one-year warranty period and set up a garden walkthrough to answer any questions the customer might have and take action on anything that appears abnormal. 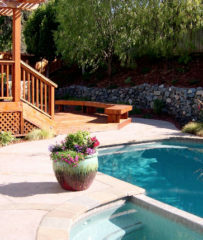 While Confidence Landscaping has won numerous awards for its landscape designs and installations, it also provides expert consultation services for subjects such as water conservation and sustainable landscape practices, allowing it to handle a wide range of projects for residential clients and businesses alike. “We’ve had manufacturers come to us to review new products, and we tell them what works best based on our experiences,” says Mr. Sheehan. 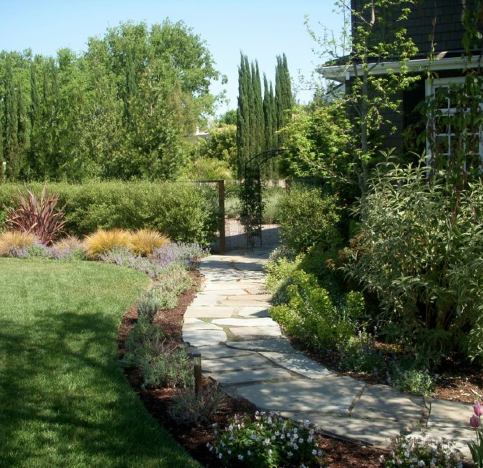 Before undertaking a landscaping project, it’s important to understand the basics of California water conservation. 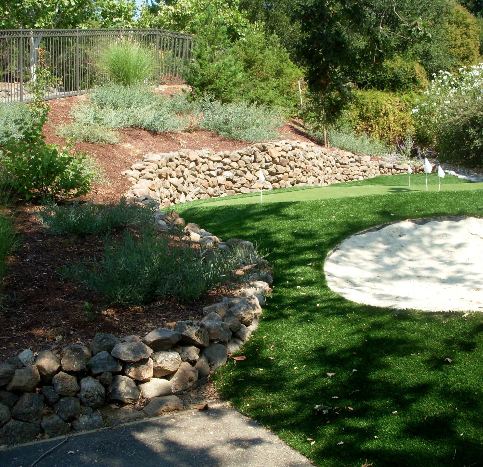 Make sure the contracting firm you hire has the credentials and experience to achieve maximum conservation goals and install the most technically advanced irrigation systems available. Know when to water. Water early in the morning when temperatures are cooler. 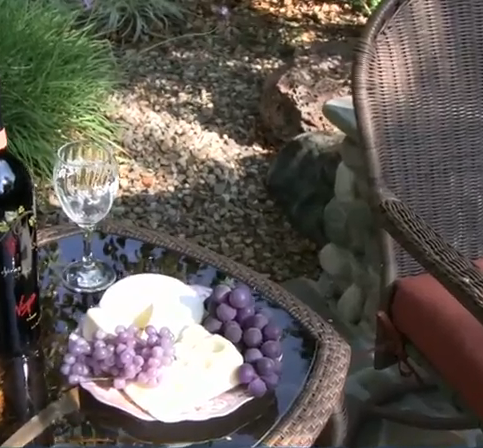 To minimize evaporation, don’t water on windy days. Also, most established gardens don’t need water more than twice a week. Care for your grass. Aerate your lawn and maintain proper soil pH levels. Keep weeds and insects under control—sparse, weed-infested turf sequesters less carbon dioxide and releases less oxygen. Weeds compete with other plants for nutrients, light and water. Plant thoughtfully. The next time you install a flower or shrub, choose a low water-use plant for year-round enjoyment. 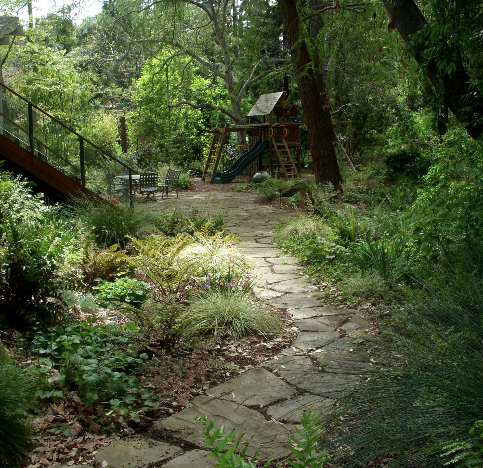 Use a layer of organic mulch around plants to reduce evaporation and save thousands of gallons of water each year. Add water-saving tools. 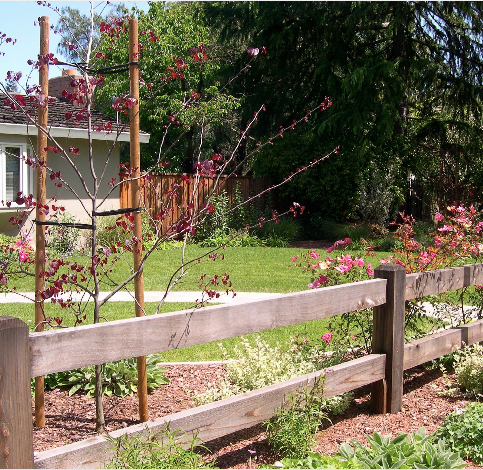 Install a drip irrigation system around your trees and shrubs to water more efficiently. Consider installing rain catchment systems to retain rainwater for later use in the garden. Q: What’s the process once I call your company? A: After the initial call, we’ll send you a letter that includes a meeting confirmation, literature about our company and a design checklist. Then we’ll set up an onsite meeting to ask questions and take photos and rough measurements. We then put together a detailed proposal that illustrates the precise scope and scale of the work and provides a rough budget estimate. When appropriate, a design contract is included for you to sign. Once we’ve agreed to proceed with designs, we’ll lock in a prescribed installation schedule. A: When we present our initial budgetary proposal, we break it down extensively on a phase-by-phase basis and attach a timeline. We’ll give you an accurate time assessment based on experience and what the project entails. Some projects can be completed in a few days, while others can require months. Once designs are finalized, we’ll provide a revised proposal that includes pricing, scope of work, a detailed plan, and a start and completion date. 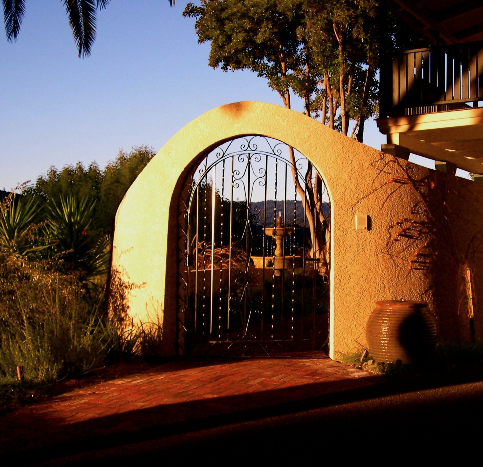 A: We use subcontractors for all our concrete, masonry, swimming pool and elaborate carpentry work. We do everything else in-house. Our subcontractors have worked with us for many years—they do this kind of work every day and are experts in their fields. We want our customers to have the best of the best, and even though there’s a bit of a premium price for these subcontractors, it’s warranted based on the quality of work they provide. 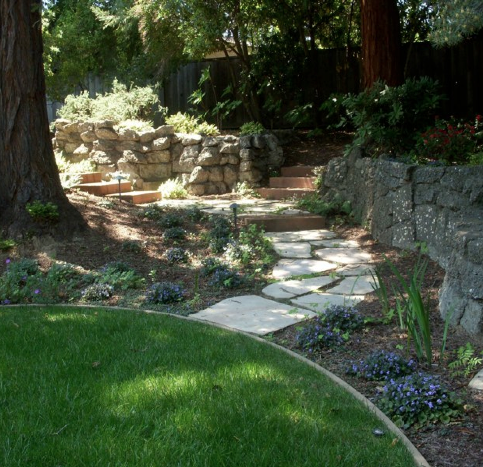 Q: Are you more expensive than other landscaping firms? A: The quality and craftsmanship we build into our work can cost more than hiring a routine gardener or a company with less experience. We provide honest, solid value, and we never cut corners. Industry competition is fierce, so we aim for the highest level of integrity with everything we do. We recommend products and materials that we believe will satisfy clients and benefit them for the long term, all the while working within their budgets. SELECTED PHOTOS FROM Confidence Landscaping, Inc.
Confidence Landscaping built this custom outdoor entertainment area. 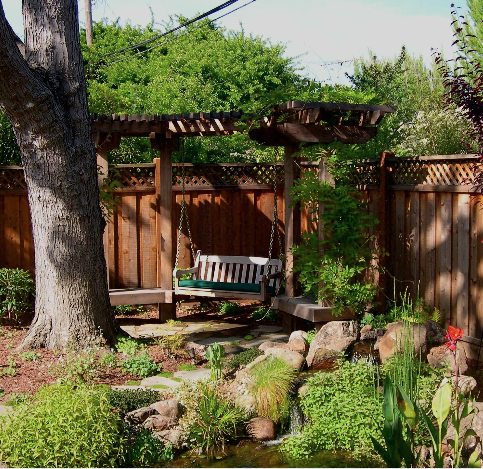 This landscape features a swing and benches by a pond. 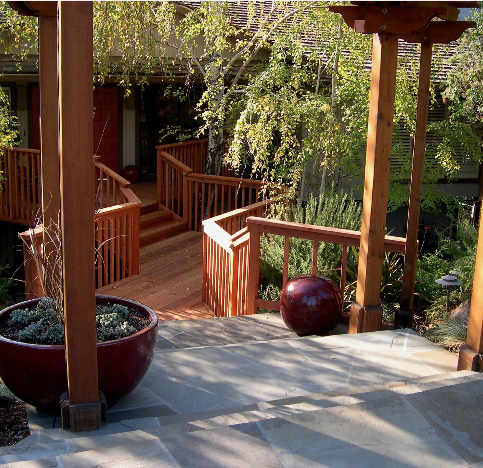 Confidence Landscaping can turn its clients’ dreams into reality. 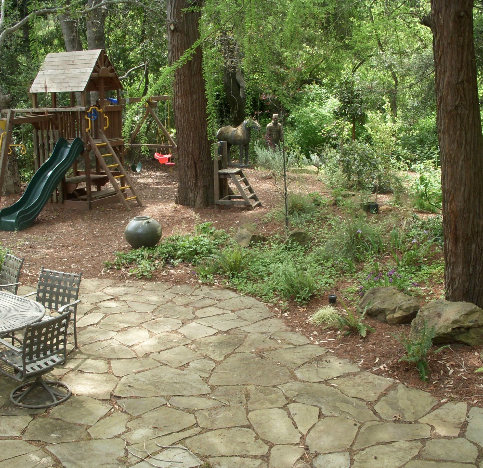 Confidence Landscaping built this children’s play area in a natural setting. Confidence Landscaping can work with existing terrain features. Jeff Sheehan is a lifetime veteran of the landscaping industry and owner of Confidence Landscaping, Inc., a Diamond Certified company since 2009. He can be reached at (408) 559-1800 or by email. Later, Jeff got a job doing landscape maintenance for commercial properties, but he soon sensed there was more out there for him. “I got tired of working on large complexes where everything looked the same—500 oleanders all in a row and no room for creativity. 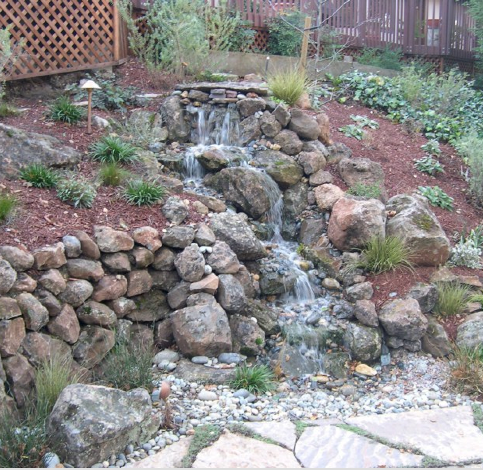 So, I started doing residential design and installation on the side, which is where I really found my niche.” After a short-lived independent venture, Jeff started Confidence Landscaping, Inc., which is still going strong more than 35 years later. Outside of work, Jeff engages in a variety of active pastimes. “You name it, I enjoy doing it, from bike riding and playing tennis to windsurfing and just going on drives around the Bay Area,” he says. “I also like to travel and explore new places when I can.” Jeff also enjoys spending time with his son, Max, who works for Confidence Landscaping, and his daughter, Kallan, who is currently attending college. A: I listen to a lot of talk radio just to stay up-to-date with the news, but when the weather is nice, I like to roll down the windows in my car and turn up the tunes. A: Italy. I was actually there not too long ago, but I enjoyed it so much that I want to go back! 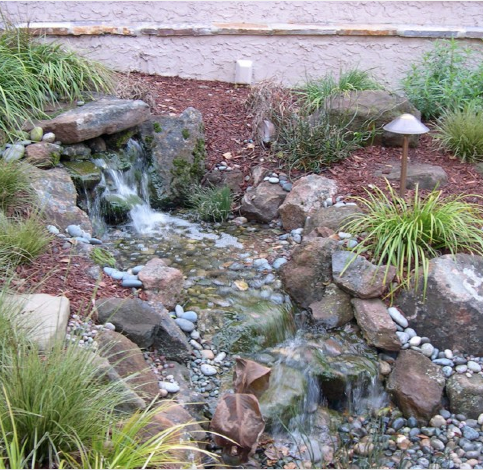 CAMPBELL — When it comes to landscape irrigation, Californians have a tendency to overwater plants to the point of twice and even three times the amount of water they actually need. However, under the current drought conditions, this is no longer a luxury we can afford. On the contrary, all landscape irrigation today should be regarded from a “need-based” approach. This approach involves a complete change in strategy. Rather than watering at the usual tri-weekly intervals, try turning off your automated irrigation controller and waiting for your plants to “speak to you.” Over the ensuing few days, observe them—once they start to wilt, turn on the water. Repeat this process a few more times, taking note of the timeframe in each instance. By observing your plants and gauging the amount of time it takes for them to start wilting, you can establish a more accurate, need-based irrigation schedule. Don’t worry about letting your plants experience a little bit of stress—they won’t die. More importantly, by recalibrating your irrigation intervals, you stand to reduce your water usage by as much as half, and potentially even more. Seeing as the government has called for a 30 percent statewide reduction in water usage, if everyone implemented this approach in their landscapes, we would far surpass that goal. CAMPBELL — Host, Sarah Rutan: With the current drought conditions in California, it’s time to change the way we approach watering our landscapes. Today we’re in Campbell with Diamond Certified Expert Contributor Jeff Sheehan of Confidence Landscaping to learn how. Diamond Certified Expert Contributor, Jeff Sheehan: Water conservation in the state of California is now a way of life, as we all know. Historically in the landscape business and in our own homes, we have overwatered our plants to the point of twice, maybe three times, the amount of water that our plants really do need. If we merely observe our plants, and we can gauge the amount the time that it really takes between our first irrigation system, and then how long it takes for that plant to begin to wilt, we can save 30, 40, 50, 60 percent of the amount of water that we’re currently applying to our landscapes. As we all know, in the current drought we are looking at 30% reduction state wide. This is easily achieved by simply monitoring your irrigation controller. Watch for your plants to begin to speak to you, if you will – where they’ll begin to wilt. What time frame was involved there? And then you’ll have more of a gauge as to the reservoir that’s down in the root zone that the plants can then draw upon. 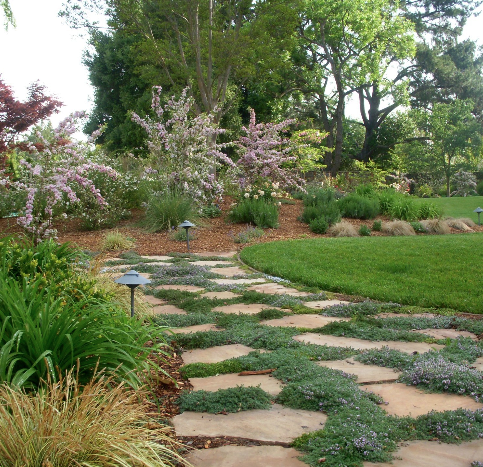 A typical situation would be walking across a lawn that you have not irrigated for some time. And you’ll notice that as your foot – as you walk across your footprints – the blades of the grass will actually stay down. And if they’re staying down, that is a good indicator for you that now is the time to actually irrigate that lawn as opposed to, again, Monday, Wednesday, Friday for ten minutes. We’re overwatering. The plants don’t need it. Let them go into a stress situation a little bit. They won’t die. And they’ll be perfect for you when hopefully we get an average winter and we’re back in business again. Thank you. Diamond Certified RATINGS ON Confidence Landscaping, Inc.
Confidence Landscaping, Inc. : Average 9.0 out of 10 based on 122 unique customer surveys of customer satisfaction. They did a really good job. It took them awhile to get going, but once they were here, everything came out fine. They really listened to me. They were very professional, and they did a very good job. They were just good all the way around. They were very professional and available for questions. They were very friendly, and they took my direction about anything that I was concerned with. 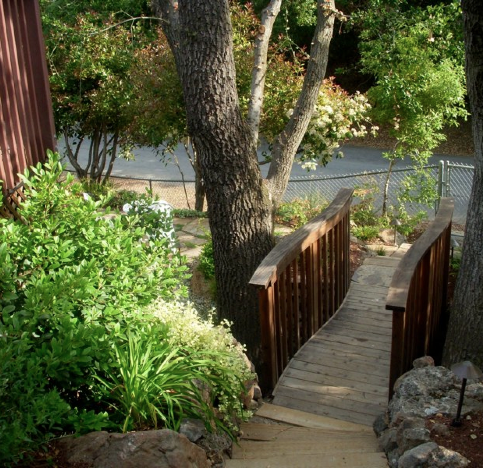 They did great work, and they were very knowledgeable about California landscaping. We were genuinely pleased with what they have done. Nothing in particular stood out. They were very easy to work with, and they were very knowledgeable. They were all very nice people, very accommodating, and they answered all of our questions. We really enjoyed working with them. Their attention to detail really showed through, and also their follow-through when anything happened. They are not the cheapest, but they are professional, thorough and they clean up. I felt that every single employee cared about my project. I would tell them they were very competent, knowledgeable, easy to work with, they listen well, and were very reasonable. The quality was outstanding. Their overall competence, they were great. I would highly recommend them. I gave them some ideas and they came back with some plans and it was perfect and what we wanted. They are very agreeable. If you have a problem they come right out and fix it. I really liked the whole experience, it was very good. If you can afford it, hire them. I like everybody that works there, they are terrific people, and I like the results. They really relate on a personal level to understand what we like and want and they are very knowledgeable about how to make it happen. The personal touch, they really are open to discussion and hearing what we care about. They are knowledgeable and professional. We had to call them back a few times and they were always very responsive. Their professionalism and their knowledge, they have a great sense of aesthetics. They were extremely professional, it was wonderful to watch them work, they worked well together, they cleaned up, and they did a really good job. I am very pleased. They helped quite a bit, the whole thing. It came out so well. Jeff listened to what I wanted and produced it. Don't hesitate to use their service. They're great, very flexible, and willing to partner on ideas. They were on time and on budget. I think they were great. They do excellent work and they stand by their work, even after the project is finished. You know they are going to get it right and they will work with you to get what you want with the design. I think they did a fabulous job. They really know what they're doing and they do the job very quickly. I would highly recommend them. I'm completely satisfied. The owner was responsive, friendly, and really knew what he was doing. We were satisfied with them. They're very good. They were on time and they stayed on plan. I know that if I called them right now with a problem, they would come right out and help me. On time, responsible, reasonable, I liked the people they employ. Everyone was knowledgeable confident. They are not cheap, but the value you get is worth the price.